Iran nuclear agreement: The Mideast has changed drastically since the U.S. and Iran started negotiating this deal. Just How Much Will the Iran Deal Actually Change the Middle East? 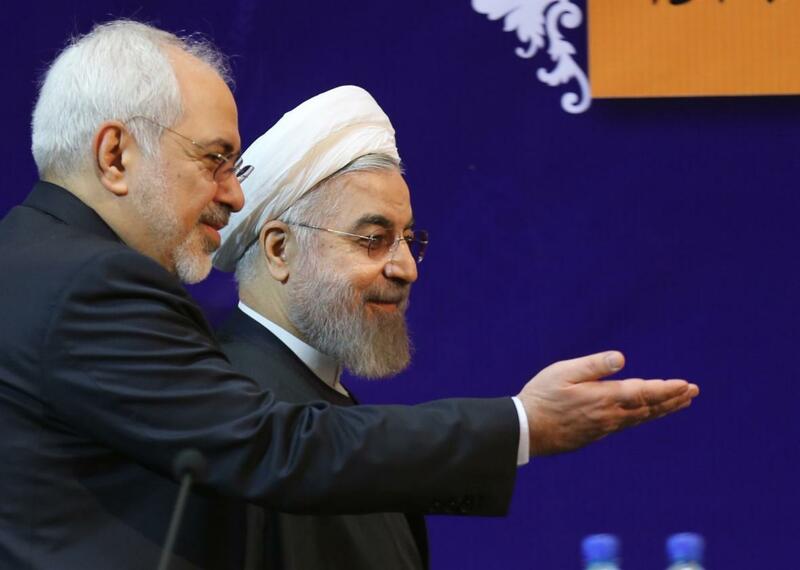 Iranian President Hassan Rouhani with Foreign Minister Mohammad Javad Zarif on Dec. 9, 2014, in Tehran. Back in the summer 2012, when U.S. and Iranian diplomats held secret talks in Oman, beginning the process that eventually led to the just-concluded agreement on Iran’s nuclear program, the Middle East looked very different than it does today. Several months earlier the last convoy of U.S. troops had left Iraq, and their return seemed inconceivable. The fall of Bashar al-Assad at the hands of Syrian rebels was thought to be only a matter of time. Al-Qaida appeared to be on the ropes after the death of Osama Bin Laden, and its Iraqi affiliate would not rebrand itself as ISIS until the following year. The Muslim Brotherhood’s Mohamed Morsi had just been elected president of Egypt, a position he would hold for a year before being deposed. The enthusiastically pro-U.S. Abd Rabbuh Mansur Hadi was in power in Yemen. And the attack on the U.S. consulate in Benghazi and the “Innocence of Muslims” protests were months away. In other words, three years ago it was reasonable to argue that Iran’s nuclear program, and the prospect of a regional war over it, was the Mideast’s most pressing security concern. Today, with the president describing the new deal as an attempt to “test whether this region, which has known so much suffering, so much bloodshed, can move in a different direction,” the agreement to stop Iran’s nuclear program feels almost quaint. Iran has managed to expand its regional influence pretty effectively without nukes. Iranian-backed Shiite rebels are leading the fight against ISIS in Iraq, Assad remains in power in Syria, and despite months of Saudi airstrikes, Houthi rebels still control the Yemeni capital. The region’s chaos has been good to Iran, and critics of this deal argue that sanctions relief will allow it to expand that influence. Of course, Iran’s regional efforts haven’t exactly been slowed down that much by the sanctions, so it’s hard to imagine that it will suddenly become that much more influential. I tend to agree more with the Obama administration’s reasoning, which counters that chaotic as things are, they’d be even worse with nuclear weapons. Plus, a less hostile relationship between Iran and the West could open up avenues for cooperation on other issues, such as resolving the conflict in Syria. Of course, what alarms Israeli Prime Minister Benjamin Netanyahu as well as leaders in the Gulf states almost as much as an Iranian nuke is the notion that the U.S. will increasingly find its interests aligned with Iran’s. We’re not quite at that point yet. It’s worth remembering amid the good vibes today that Iran is still imprisoning U.S. citizens on absurd, trumped-up charges—essentially holding them hostage. And while it’s true that the U.S. is in a tacit partnership with Iranian-backed militias in the war against ISIS in Iraq, there’s a good case to be made that Iran is playing both sides of the conflict: The Iranian-backed Assad has allowed ISIS to spread in Syria, and at times even helped it. For the U.S. and its allies, today’s deal is a gamble that opening a conversation with Tehran will lead to more productive regional politics and empower less confrontational voices within the Iranian government. While it doesn’t look quite as transformative as it would have a few years ago, I think it’s still a risk worth taking. Still, President Obama will be long out of office before we know if it paid off.